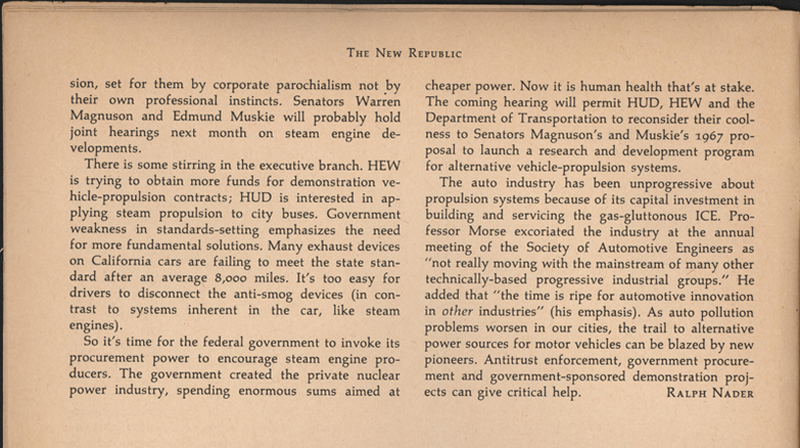 Ralph Nader wrote this article about steam cars for the New Republic, April 27, 1968. 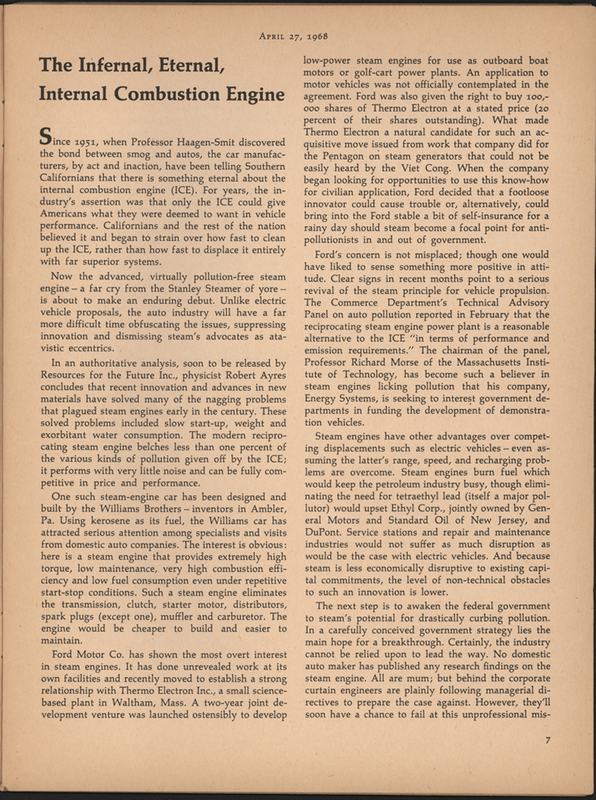 The 1960s saw the dawn of the American environmental movement and many activists saw steam power as the solution to automobile air pollution. This is a subject that deserves detailed scholarly research and publication. 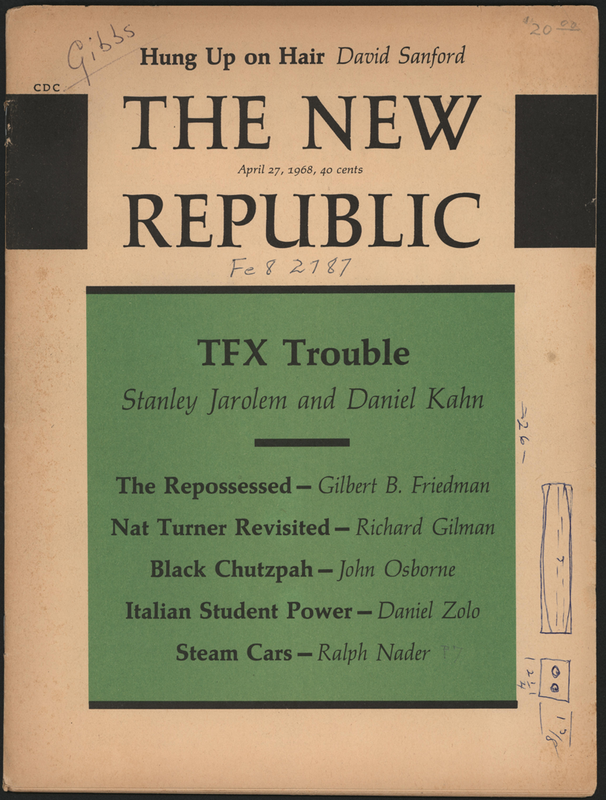 Ralph Nader's Steam Car Article, New Republic, April 27, 1968. Contact us if you have additional information about Ralph Nader and his interest in steam cars, or if you have questions. The Society of Automotive Historians bestowed its •	prestigious 2015 Ingersoll Award on the VSCM web site.